To state the obvious, I have decided to start blogging. I've been thinking about it for a while, and every once in a while saying to my husband, "maybe I should start a blog." I had several reasons not to, one of which is that blogging feels a bit narcissistic. I'm definitely not saying that all bloggers are, but for me to blog felt a bit like I'm saying, "I think my thoughts are so important that everyone should read them." 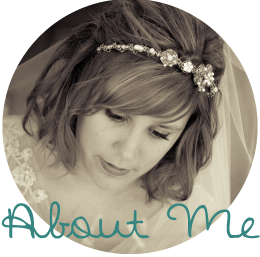 But I hope to approach this blog from a place of humility, sharing what God is doing in my life and how awesome He is. Another reason I thought I shouldn't start was because I have tried this blogging thing before. And failed. When life grew busy I forgot I even had a blog. This time, please hold me accountable. When life is crazy, that's probably the most important time to reflect and record my journey. That leads right into my reasons to start a blog. The first reason is hindsight. Hindsight is my biggest reminder of how God provides for me. If I write down the ways God is moving in and around me, then when I don't feel Him, I can look back and see the way He has worked and find comfort in that He still is. I've seen this play out many times in my life. One of the most memorable examples was when I was struggling with staying or leaving England a few years ago. I was working as a youth worker at a church near Bristol, and various things led to visa issues and questioning where I was supposed to be and why. To summarize, I ended up back in the States, moving back in with my parents, an ocean away from where my life for the last three years had been. My biggest question was "why?". Very shortly after returning, my mom was diagnosed with breast cancer. That was the answer to my question. It would have been so difficult to be so far away from my mom through her battle, and God knew that. And His timing is perfect. I sometimes get to frustrated when I don't understand His plan, but I need to remember these things. And I need to learn to wait and rest in Him. The second reason I decided to start this blog is for fun. I thought it would be fun. I do a lot of crafting and making things and taking pictures of them, and I thought it would be fun to share them. So you'll see a bit that here too. With your likeness, let me wake. Thanks for reading, friends. I plan to be back with another post very soon. Congrats on the new blog, Erin! Good thoughts. Fun to watch as God works in your life and share in the journey.